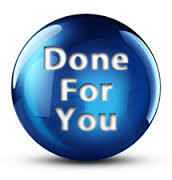 Our Choice Package is our Choice Done-For-You Service. This package is perfect for those who already have a show or have the guest list for a show but just do not have the time for all the behind the scenes responsibilities that it takes to produce a weekly radio show. With this package you call into your show once a week and the rest is Done For You! TTRN will also INCREASE your visibility on iTunes, I-Heart Radio, Spreaker and YouTube. Includes your own RSS Feed for your show.